So nobody since the PAT adjustment. Gotcha. So that's a no on my request? I get it, can't make a point one way, try to push it in another direction. Is Tommy Brooker available? Honestly, I don't know. We could ask - I'm sure he'd be tickled pink if the team were to ask him to try out. But at 79 years old, i'd think his chances of making the roster are slim. Is there a better option? I don't know. Right now probably not. That's why he was resigned. But one never knows. I mean, who would have thought the GOAT would have been found in the 6th round of a pretty awful qb class. True, we did find Brady late. And maybe there's a late round QB available this year that is the next GOAT. Would you be willing to cut Tom Brady based on that hope? Because the simple odds are that it his highly unlikely our next kicker will be as good as Gostkowski. And it's just as unlikely the Ravens next kicker is as good as Tucker. Personally, I'm not in a rush to find that out for sure. Would you be willing to cut Tom Brady based on that hope? However, I would not have cried in my milk if Stephen Gostkowski signed else where. Just as I didn't go screaming, ranting, raving and yelling cuss words up and down my street after then resigned him. Tucker just missed a PAT against the Saints that lost the Ravens the game. But most probably in your mind this was not a big game because it happened in the regular season. Whatever. you already moved the goalposts on the entire Ghost debate from initially defending people that said he lost the game to mistakes were made everywhere. Cant wait for how you correct here. Most probably by calling other people Ghost fans to make it appear they are biased so nobody realized how incredible biased you are being "ambivalent" about the best overall kicker this organization has had. The point is not whether other kickers have missed kicks. The point is Gostkowski has missed kicks in big games and people have differing opinions about the overall impact of those missed kicks. People are being objective. You should try it. I am being completely objective. Some people want to place him on a pedestal as a player who cant be replaced. Others bemoan the resigning. Me? I'm ambivalent. If there is one thing that we all should know by now - Every player is replaceable. And eventually will be replaced. Better to cut them loose a year early than a year late. He shuld be on a pedestal. He is the GOAT pats kicker and top 2-3 all time most accurate. Whats the problem with that. He is not that old. The Bucs drafted the 3rd best K in NCAA history a couple years back and he was the worst kicker in the league. He's here until he isn't. That's about it. I wont be cutting ties with Gostkowski. That's not my job. But pretty sure you are right though, no misses in the 4th q. In fact, up until 2015 he was perfect on fg and xp's in the playoffs. But not so much since then. Missing a kick in a regular season game is different than missing one in the post season. If you cant see the difference, then i cant help you. And i do think his miss had a huge impact on the outcome of the denver game in 2015. Especially in light of how the rest of that game played out. It was a huge miss that had a direct impact on how the last scoring series played itself out. Holding out other players mistakes does nothing to mitigate that. You cant look at these things in a vacuum. Would the pats been in a better position to win if he made that kick? Absolutely. Which does not mean his cap charge will be 5.5m. We are talking cash flow here. And i do think Bradys INT had a huge impact on the outcome of the denver game in 2015. Especially in light of how the rest of that game played out. It was a huge turnover that had a direct impact on how the last scoring series played itself out. Holding out other players mistakes does nothing to mitigate that. I have said that there were other errors in the game. You threw that in my face. But its not Brady we are discussing, is it? No, its the impact Gostkowski had in missing that kick. Basic fact is if he made that kick, they only needed to go for 1 point at the end of the game. Instead, they were forced to go for two against a team that stopped every 2 point conversion that year. You said in this thread that Gostkowski cost us a Super Bowl because of his missed XP. Only later did you say there were other errors in the game. But be honest, if this thread was about Brady signing a contract extension, at any point would you have said Brady cost us a Super Bowl back in 2015? I never said Gostkowski cost us the Super Bowl in 2015. I said that missed kick hurt the Patriots in that game, much more so than you care to admit. 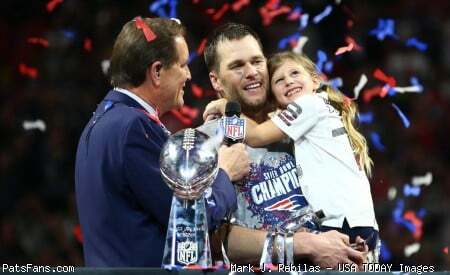 This thread isn't about Brady, and I am not getting into a strawman argument about Brady or anybody else. You want to discuss that, start a thread about it. Good Luck with it. You're right, you didn't say that, you replied to luuked who replied to the guy that did, and that caused my confusion. But yes, I do think too many on the board have unrealistic expectations of Gostkowski, as in any missed kick at all makes him a total failure, all the while ignoring that means every kicker in the league is a total failure. I'd certainly like it if Gostkowski never missed. I'd especially like that in the playoffs. But I also would like it if none of our players fumbled or Brady never threw an INT. There's no denying his INT ratio has been higher in the playoffs than in the regular season the last few seasons. But it certainly doesn't mean we'd be better off with a different QB, just as we wouldn't be better off with another kicker. I'd certainly like it if Gostkowski never missed. I'd especially like that in the playoffs. But I also would like it if none of our players fumbled or Brady never threw an INT.